Look, I have no idea why Nintendo is doing things this way, but Nintendo's going to be Nintendo, and now we've got a Switch app that we can download and use on iOS and Android devices. The launch coincides with the release of Splatoon 2, which will be the first game to take significant advantage of it, but one assumes that it will be used for many other Nintendo games down the track. 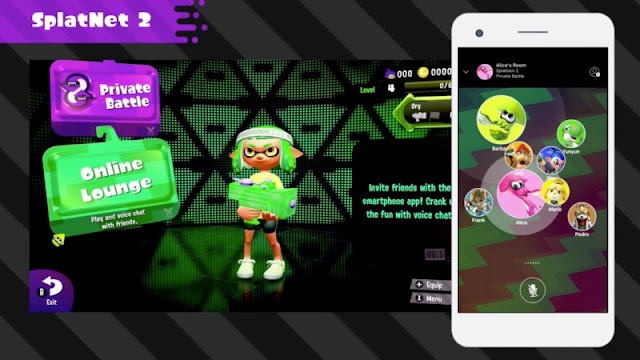 Using the app, you're able to invite other players into private battles, league battles, salmon run and splatfest battles in Splatoon 2, while also communicating with other players using voice chat. If all of that sounds like things that you could do in most other online games from within the game itself, see above: Nintendo's going to be Nintendo. If you're one of the niche group of people that somehow have such a problem with Android and iOS devices that you just can't bring yourself to join the other 99 per cent of the population (hi, Windows Mobile users! ), then you're out of luck, no app for you. The app itself is currently free, but when Nintendo starts charging to use its online service next year, you'll need to be a subscriber to continue to take advantage of it. Ahhhh, MMOs. Where it's all about the content, and we just can't get enough of it. 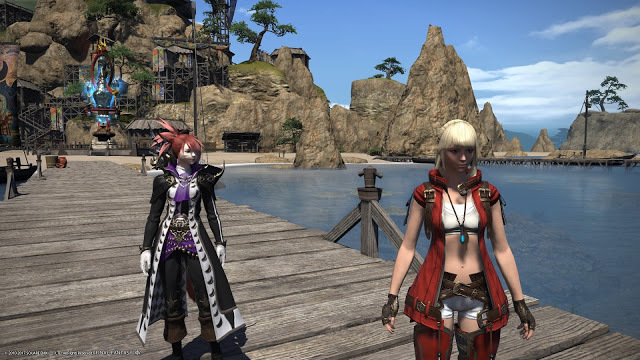 Square Enix continues to earn its significant monthly subscription revenues from Final Fantasy XIV with a "small" patch rolled out today that adds a bunch more stuff to the game. · The Lost Canals of Uzinir - a special instance similar to the Aquapolis, can be accessed after finding and opening treasure coffers obtained from gazelleskin treasure maps. Here, players will have the chance to explore long-abandoned ruins filled with treasure! · Allagan Tomestones of Creation Added – this new currency earned through the Duty Roulette can be exchanged for some of the most powerful gear in the game. · Gear Design Contest Creations Added - Gear based on the grand prize winner of the Gear Design Contest (Tank Edition) has been implemented. DPS and healer gear based on this design have also been implemented. · New Items – new mounts, minions, furnishings and more have all been added to the game. Of course, all this comes less than a month after a massive expansion just hit stores. You can read Matt C's review of Stormblood here. Nights of Azure 2 gets a new trailer! But more importantly we just found out that there's an incredible DLC bonus for pre-ordering Nights of Azure 2 and Gust's other upcoming JRPG, Blue Reflection: Cross-over DLC! If you pre-order both games, the Nights of Azure 2 girl gets a school uniform from Blue Reflection in her game, and the Blue Reflection girl gets the kind of costume that girls shouldn't be wearing to school from Nights of Azure 2 in hers. Other than that, people who preorder also get bonus summons to use in Nights of Azure 2 (including the ever-adorable puni from the Atelier series), and players that pre-order the PS4 version specifically also get a theme for their PS4s. That's a lot of bonus stuff for a game we were going to buy anyway with none of it. Nights of Azure 2 comes out in October, and if it's even a slight improvement on the previous game, which we absolutely adored, it will be one of our favourites of the year. You gotta feel for the people at Ubisoft. There's a massive company trying to acquire Ubisoft via hostile takeover (Vivendi), so Ubisoft is throwing everything it can to try and get that monkey off its back. The company never used to send me press releases about board of director appointments or financial results, but I'm sure getting them now. The reason is simple; the more positive news that gets out there about Ubisoft, the less likely it is that a hostile takeover will succeed. So in writing this, I'm actually helping Ubisoft out. Aren't I nice? Though, given the drive to save the company is also what likely led to its spectacular showing at E3 this year I'd be lying if I said this wasn't motivated by personal interest, too. Ubisoft with its back to the wall is a company discovering all kinds of creative juices.